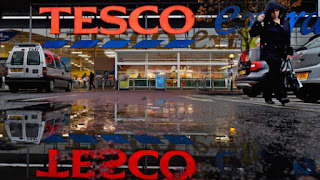 Tesco is to cut 1,700 jobs from its branches and warehouses as part of its turnaround strategy for the company. The UK's biggest supermarket chain also plans to create 900 jobs and try to move staff affected by the cuts into the new roles. UK chief executive Matt Davies said the changes were "necessary to ensure our business remains competitive and set up for the future". Last year, Tesco announced 2,300 head office and call centre jobs would go. "These changes remove complexity and will deliver a simpler, more helpful experience for colleagues and customers, said Mr Davies. "We recognise these are difficult changes to make, but they are necessary to ensure our business remains competitive and set up for the future." The roles being cut include people managers in 757 large stores and seven warehouses in the UK, and compliance managers in 667 large stores and seven warehouses. In addition, the job of customer experience manager will be scrapped in 266 Tesco Extra stores. The newly created posts will have broader remits and will work across several sites in distribution, stores and warehouses.